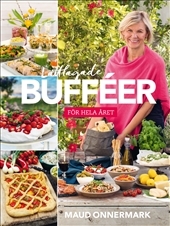 Maud Onnermark, writer of several acclaimed cookbooks, presents easy-to-make buffets that are delicious as well as simple and quick to make. The recipes include an Italian buffet, vegetarian buffet, soup buffet, and a prepared buffet to keep in your freezer. You will find suggestions for complete buffets, but it is also easy to pick and choose among the delicate dishes and desserts, to create your perfect buffet for any celebration.